After whom Aktion Reinhard was named? 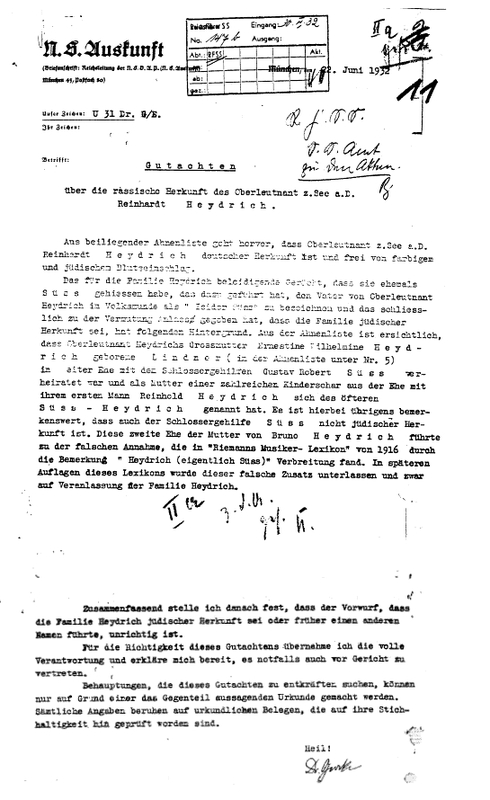 According to the historians Peter Witte and Stephen Tyas (A New Document on the Deportation and Murder of the Jews in the General Gouvernment under "Einsatz Reinhardt") the "Aktion" was referred to Reinhard / Reinhardt Heydrich, chief of Sicherheitspolizei (Sipo), Sicherheitsdienst (SD) and Reichssicherheitshauptamt (RSHA). It was not referred to the State Secretary of Finance Fritz Reinhardt. Among recently declassified material at the Public Record Office in Kew, England, two radio messages from SS Major Höfle at SSPF Lublin were uncovered. One was sent to SS-Obersturmbannführer Adolf Eichmann at RSHA Berlin, the second one to SS Lieutenant Colonel Franz Heim, the deputy commander of the Security Police and SD for the General Gouvernement in Krakow. The term Einsatz was apparently the original one in use from June 1942 on, but certainly less often in 1943; the extermination camps Belzec, Sobibor, and Treblinka were officially called "camps of Einsatz Reinhardt". 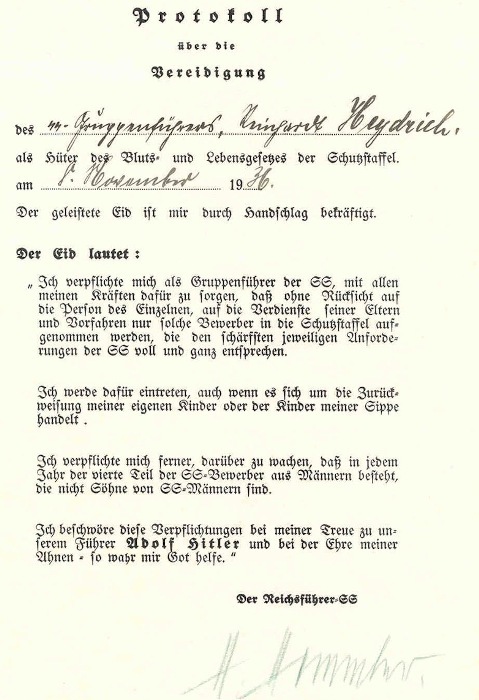 New personnel assigned to these camps...signed...a secrecy agreement as "specially commissioned persons for the execution of tasks in the resettlement of Jews Einsatz Reinhardt". 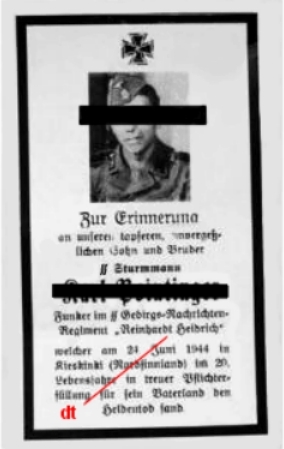 Officially they were designated "SS-Sonderkommandos Einsatz Reinhard". This is the term the perpetrators on Globocnik's staff used themselves in their correspondance during 1942. On the other hand, the term Aktion did not occur before mid-September 1942 as far as we can ascertain. It seems to have been used first in the SS's Economics and Administration Main Office (WVHA) and its Inspectorate of Concentration Camps,... and only later, in 1943, by Globocnik and Himmler themselves... For these reasons, and because the telegram's subject line itself has Einsatz, the authors prefer using this term instead of Aktion. Although knowing the results of Witte's and Tyas' investigations, ARC prefer using Aktion Reinhard because that expression is in common use. As far as is known, the codename Reinhardt for the mass murder first appeared immediately after Heydrich's death in June 1942... 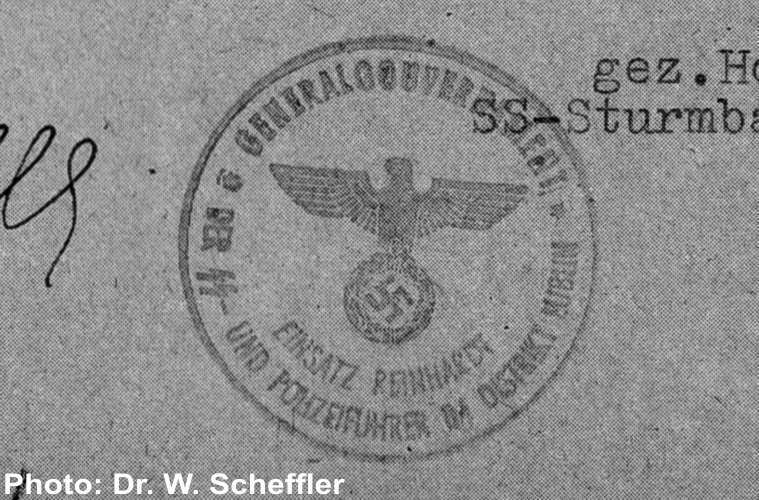 Concerning the spelling, ... one of Globocnik's official stamps displayed the Reich Eagle in the center and the inscription Der SS- und Polizeiführer im Distrikt Lublin - Einsatz Reinhardt. The most extensive and important file on Aktion Reinhardt, the final reports of Globocnik (including two notes by Himmler), have the dt-spelling, in all fifteen times. Much more evidence is available. 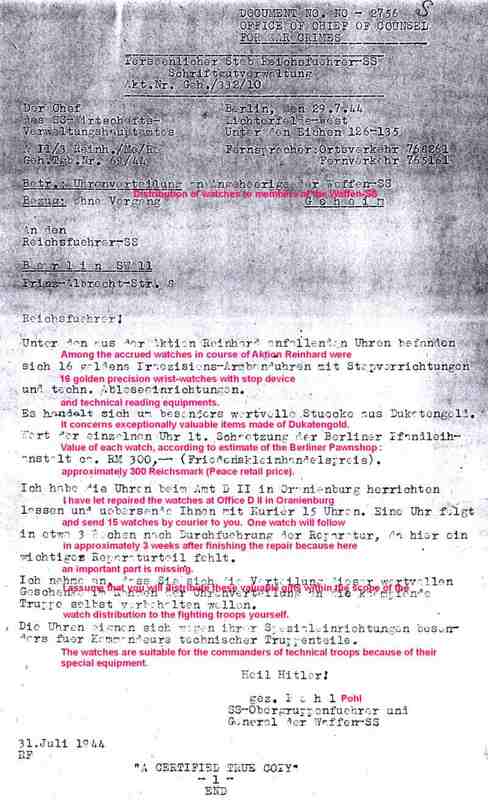 In May 2005 the ARC Group discovered a document in which Aktion Reinhard is spelled without "t": Letter from SS-Obergruppenführer Oswald Pohl to RFSS Himmler. 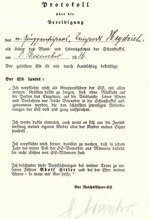 This document shows that the term Aktion Reinhard was not written in the same way.